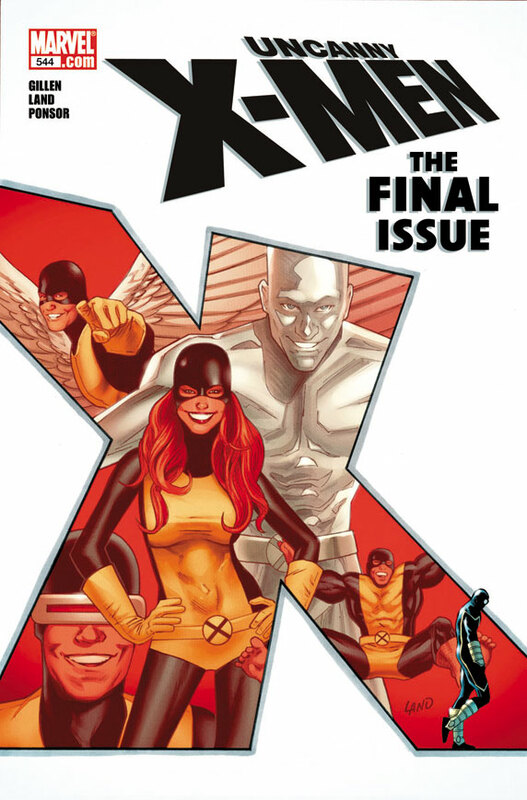 In what I would call a huge marketing stunt to get attention, Marvel Comics has decided to end arguably their most epic and famous title in their line up Uncanny X-Men at issue No. 544! Below is a quick synopsis. Looks like this will be the end of this legendary title as we know it, until next week after all the nerd anger, and rage hits Marvel in the face, and the title goes back to regular numbering in 2 years. One can hope……. The words "Epic Fail" have never sounded more real to me then when I had to write up this story! Just announced: Uncanny X-Men #1 comes out in November. SARCASM! =/ I'll read it. Then I'll wait for the "as the world turns" spin-offs mid nov/dec. Soon as it nears issue 600, it'll be back, but yeah this is definitely a lame numbering stunt to get a brief surge of buyers on a #1. =/ This story could still be told without renumbering. Unfortunately this normally does not bode well for the storytelling in the continuity. Truthfully I culd care less. Comics in general have become craptacularly stupid in the last decade with all the giagantic crossovers into everything else being a regular theme. It is nothing more than a ploy to get people to buy other titles they dont give a spit about in order to read an arc and then theres all the sub-titles that have nothing to do with the main arc except maybe a small tie in. I miss the days when a universal cross over was a once in a blue moon thing and the on crossing over was the occasional punisher into daredevil, spidey into ghost rider thing....not this massive every year a new cross over...i miss the days when a book had its own self contained storys for a few issues then the next several issues were just single issue stories... those where nice...so i say good riddance and farewell. Maybe if they cut back on the gazillions of titles they can get comics back to just story telling and stop trying to mimic everyday life...comics were supposed to be a fantasy...not a marginally fictionalized version of the 6 o'clock bloody news. Back to Avengers I go! I can dish out some epic "nerd anger". 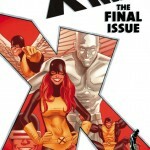 Uncanny X-Men #1 sounds like the perfect jumping on point for new readers. Maybe I'll make it the first mutant comic I pick up ever. The X-Men don't have an extensive and convoluted backstory I would need to know before jumping on do they? wow. that's insane. signs of the times..
LOL. I wish they would stop with all the re-numbering already. It's not like they arn't gonna switch back when it hits #600, or even #650, six issues from now. haha. Sales must increase every time they do this though, or I suspect they wouldn't do it. 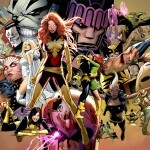 the x-titles have been sucking for a very long time: lousy storylines, so-so artwork and too many unremarkable characters. 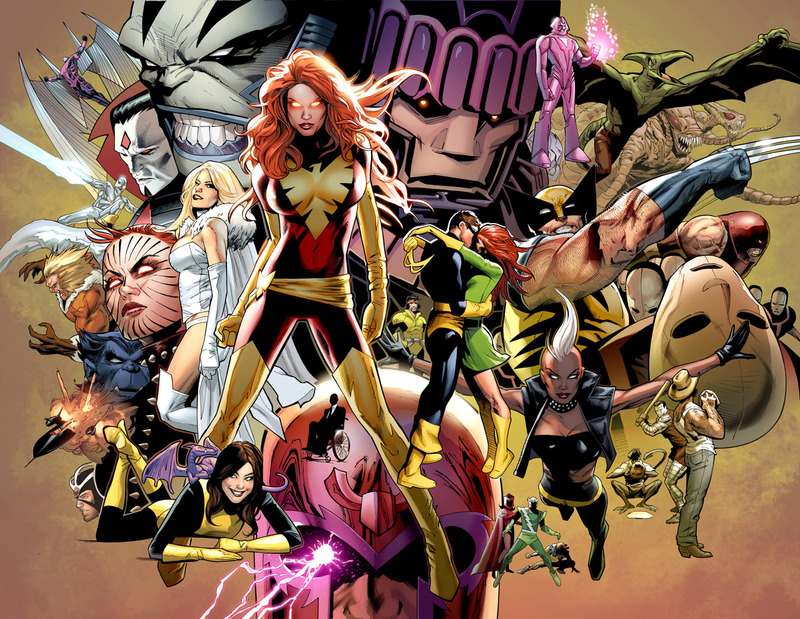 im at the point where i could care less about any of the xmen. Im losing patience with the avengers/defenders/marvel team up/marvel two in one as well. I think the X-Titles haven't been all that bad with the artists, although I don't care for Chris Baccaulo. Hopefully he's not at the helm of Wolverine and the X-Men. I hate these number gimmicks that companies have been pulling. First the DCnU and now the X-men! Is nothing sacred! Re-numbering is the single greatest thing the comic book community could do for each other. I used to feel obligated to purchase every issue of a book because I had them all. Now I don't because books get cancelled and rebooted as the sun rises. Well, in DCnU's defense, they at least have a legit point about it with this all new universe. Marvel on the other hand? Not so much. This is continuing a storyline that's been building for 10 years now, plus it's continuing off of events in the issues before it. It really has no business being re-numbered. Alas they'll get their immediate sales spike, and then miscount on when it's supposed to go back to 600. That's the one thing you can count on marvel for, they can't add. Now after reading the preview for X-Sanction, I can gladly say I'm glad I read the books of theirs I do, and not all this overhyped BS. I will say one thing about Schism though. It did finally bring a valid argument up. Now if only it actually did it in a well handled way as opposed to mimicing the hypocrisy of such things like killing for peace, or murdering to protect the sanctity of life, or screwing to not get pregnant.